Far too much time was spent this off-season – and last off-season – talking about Tom Brady and his role in what's become known as Deflategate. Of course, much of that was driven by the NFL's odd handling of the whole investigation, which finally ended with the league handing out a four-game suspension to Brady. That just added fuel to the fire. After missing the first four games, Brady has come back with a vengeance. He's led the Patriots to a 7-1 record since his return (they're 10-2 overall) and he's playing some of the best football of his career, even at 39 years old. He only has one interception through eight games. He's within reach of his best completion percentage and passer rating, and once again, he's doing it with a ragtag supporting cast. He also just set a milestone that no other quarterback has reached before. 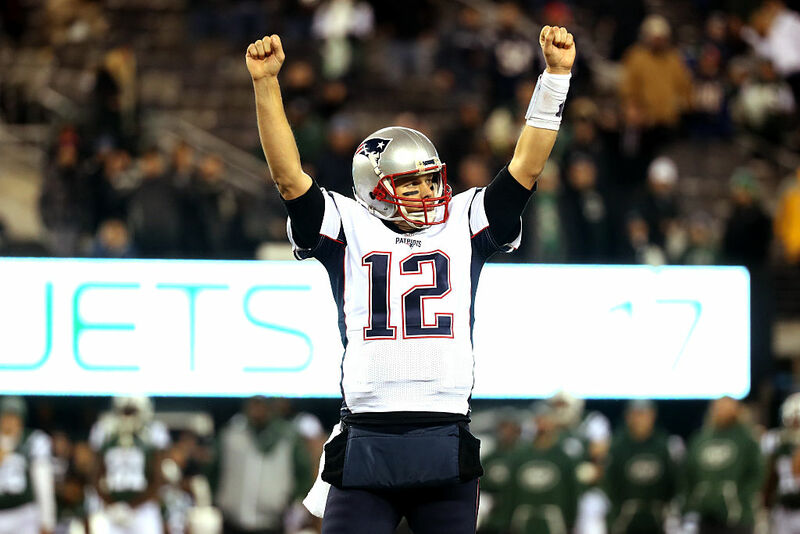 With a 26-10 victory over the Los Angeles Rams, Brady became the most winning quarterback in league history, counting both regular-season and playoff games. He now has a whopping 201 victories in his career, surpassing Peyton Manning, whom he tied last week. In fact, Brady is just one of 16 quarterbacks to reach the 100-win plateau. That list includes active quarterbacks Drew Brees, Ben Roethlisberger, Eli Manning and Philip Rivers, as well as former Patriots quarterback Drew Bledsoe. Brady replaced an injured Bledsoe in 2001 and never relinquished the starting job. While he's always been among the top quarterbacks in the league since then, Brady is just the 12th highest-paid signal caller in the league. He's making less than Cam Newton, Carson Palmer, Rivers and Brees, all of whom are good quarterbacks, but they also all are on teams with losing records and have a combined two Super Bowl appearances between them. Brady, meanwhile, is hoping to extend his record number of Super Bowl appearances to seven come February. His four wins currently tie him with Terry Bradshaw and Joe Montana; a fifth title would be the all-time record. It's a tall order, particularly as the Patriots just lost tight end Rob Gronkowski for the season. But if Brady has taught us anything over his career, it's to never count him out.